Whether it’s about an independent web page connected to your website, or an iframe* integrating the TraceParts technology directly into your website, or even a custom-made User Interface designed via Web Services**, TraceParts has the perfect solutions to seamlessly interface your 3D product data within your own website(s), mobile or web application(s), eCatalog(s) and eShop(s). *An “iframe” is an HTML piece of code to embed external content within an existing web page. **A Web Service is a mechanism that enables remote applications to communicate with each other through the Internet and which is independent of any programming language or platform. This first level of integration simply adds a link onto your website jumping to a TraceParts page. It allows all of your CAD content to become freely accessible from a new web page. Design professionals interested in your 2D/3D CAD models and technical data are then redirected to a web page containing your logo and featuring a graphical user interface similar to TraceParts site. This second level of integration allows you to integrate your 3D product catalog powered by the TraceParts platform directly into your website thanks to an HTML tag called “iframe”. In this case, certain features available on the TraceParts platform, such as the 3D viewer, will be immediately visible from your own website. The users of your products can then download your CAD files without leaving your site. This solution allows for an optimal customization of your web interface. TraceParts supplies you with all the API documentation necessary so that your web team can integrate various web services in order to create your own user interface. 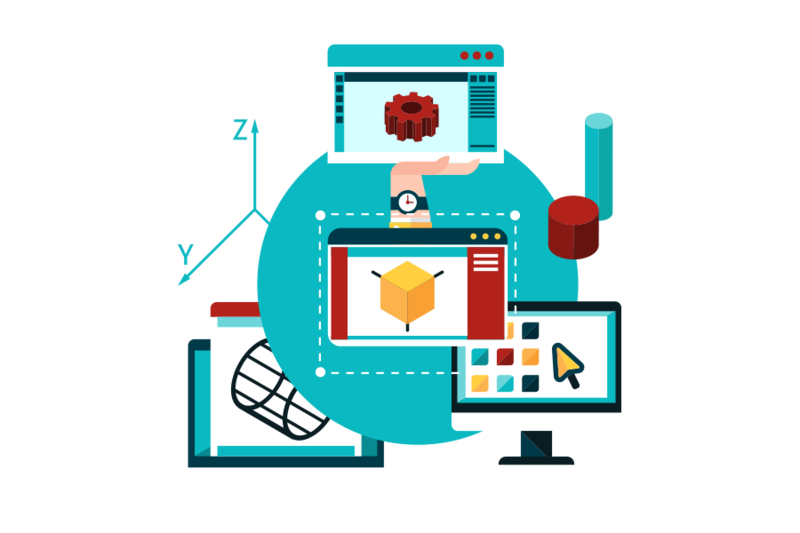 These web services let you display your CAD data using your own graphical style so that you can keep your own visual identity. You are free to choose which kind of content managed and hosted by TraceParts you want to integrate into your site.